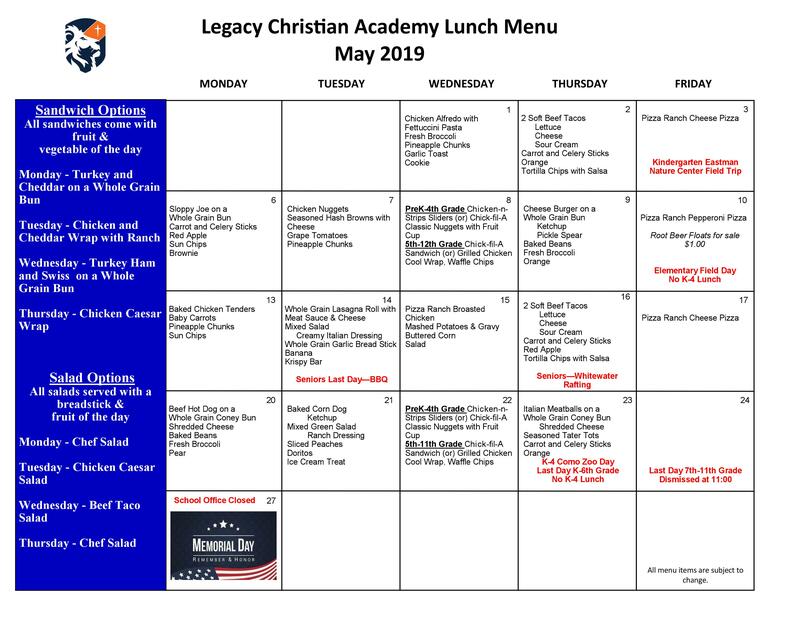 Legacy Christian Academy has secured the professional food service management services of Premier Kitchen Inc. Premier Kitchen Inc. is committed to providing LCA with an exciting and nutritionally-balanced school lunch program. Each lunch meal includes salad, fruit and veggies. A milk card for milk or juice with a lunch can be purchased from your homeroom teacher in advance or in the lunch room day of. If you have questions or want to share a comment about the food service program, please contact Lori Rasmussen. Place orders online prior to Thursday, April 25.